Online shopping is fast becoming popular in the Philippines. Even without a credit card, one may purchase online using other payment channels like PayPal, Bayad Centers, banks (over the counter or ATM deposits), Western Union, and other options. I myself is an online shopper. What, with the heavy traffic around Metro Manila, it’s more convenient to shop online especially if you’re looking for gift items that aren’t too common. So instead of hopping from mall to mall which could practically eat up your entire day on the road, you can stay home and surf online for items that you need or want. Of course there are items that you’d rather see and feel first instead of just look at the pictures, so you prefer to visit the actual stores. I do that for clothes, shoes, and bags. What I buy online are mostly beauty products I trust and only from online shops that I trust. Like a couple of weeks ago, I purchased Olay Regenerist from Lazada and last week I paid for dental services online at MetroDeal. 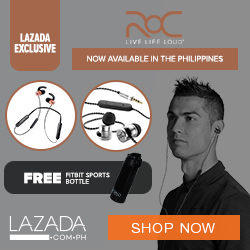 Lazada and MetroDeal are two of my trusted online shops in the Philippines. I never had any problems nor have I been scammed by shopping from those sites. For gift items that are customized, I doubt if you can find them on Lazada but you can definitely find them on Heart Press. They turn ordinary items into extraordinary as they personalize practical gift ideas like ceramic plates, mugs, specialty items, linen, keychains, even cellphone cases. 1. On their website, you choose an item that you want to personalize. 3. Proceed to checkout using your preferred payment. Heart Press accepts PayPal, debit and credit cards, and other money centers. I believe they’re awesome for corporate giveaways, wedding souvenirs, or even as gifts to ourselves and the special people in our lives. They also have a physical store in Cavite. My favorite is their glass square personalized clock. Items that can be personalized are always great ideas for gifts. It’s nice to know that they have a physical shop so doubting Thomases will trust their business more since there are a lot of online scams these days. My favorite will always be COD mode of payment. Online shopping is convenient if the fare you’d probably be using for brick and mortar store is the same or higher. I’ve tried shopping online in the past too. Online shopping is a norm nowadays and really great for us Filipinos. But definitely in the future, it takes on and on to be an online shopper. I usually use famous online shopping site like Lazada. Customized gift items, wow yan ang type ko. I go check the site nga. Online shopping is really convenient, minus the hassle of going to the malls and moving around the metro. We usually buy online stuff in Zalora and Lazada, they’re trusted online sellers. It is also nice if online shopping site offers COD payment. I’m not really into online shopping but I’ve tried Zalora and Deal Grocer. More and more Filipinos are going into online shopping. I hope that this continue to grow so that small companies can have a chance to compete with the big ones. Online shopping has its advantages and I am sure that more and more people will be into this in the coming years. While I enjoy doing online shopping but if the deals are equal, I still prefer “offline” shopping because I love the human interaction. As of now, I stop buying things online. For personalized items, I am more now in shopping here in the malls. I don’t mind long lines, as long as my items are okay and are in good shapes(I got a bad experience with Lazada). It was only recently that I started shopping online. I can’t deny that I love the convenience. I usually shop for beauty products. I like that there are customization options here. This feels like shopping in store already while doing it online. online shoppping is really in right now, it’s comfortable and time saver! I also love online shopping. I shop mostly for home and living things and baking tools too. Heart Press is interesting. I’ll check that site. I would love to try online shopping especially I have no time spending half a day just going to mall. Lazada is one of my choices. I love shopping online too. But recently, I haven’t been able to do so. I shop online especially when I can’t find the products I want in our local market, but I only use online shopping sites that I have tested and trust. Lazada is my kind of online shopping portal too! Easy navigation, trusted and always on time in terms of delivery :). Hi! I love shopping online. I’ve bought from most of the deal sites and also Lazada and Zalora. hehe. Even from the US! It’s really very convenient. Havent’ heard of Heart Press though so I’ll check it out. Lazada iz one of my favorite online shopping destination aside from Zalora. Online is indeed very convenient and cheaper because of the discounts and vouchers compared to local store. As for heartpress.ph I better check it out. I used to be wary of online shopping but my good experiences changed all that. Lazada is quite fast in delivery. NO fuss shopping. I have yet to purchase vouchers from metrodeal/groupon/livingsocial. I did a couple of ebay shopping as well here because they accept paypal payments.